Winona Camo Classic Vest with full Zipper Front, 1 x 1 Rib trims, and inside hand warmer pockets with slash rib front opening. Full length Front Zipper that extends into the Crew Neck or Shirt Style Collar. 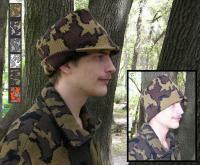 Wear it as a shirt collar or zip it all the way up to fold into a turtle neck to keep that neck snug and warm! In this photo our model is wearing a size Large. 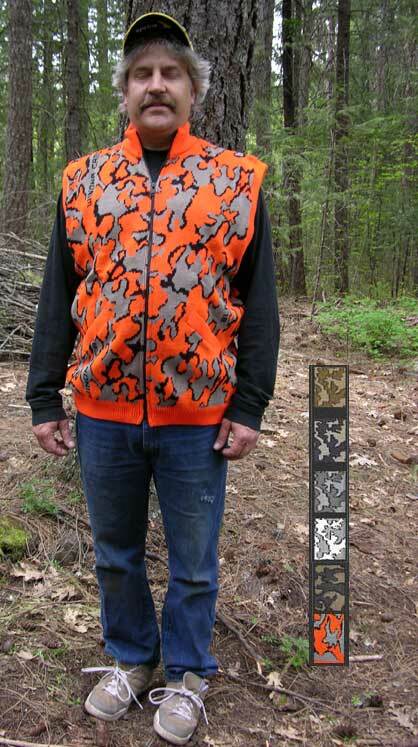 His chest measurement is 43.5"
Choose your Rib trim color using any of the 3 colors within your Camo Color way. 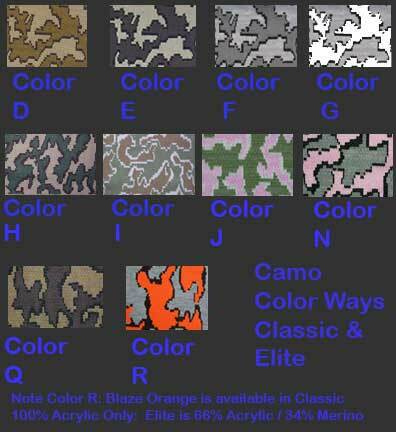 there are 3 choices for the Rib Trim color for each colorway:Color 1 is the first color listed in the camo color way blaze orange Color 2 is the 2nd color listed in our Camo color way - the smaller Shadow color: Black in our photo, or Color 3: the third color listed in each Camo color way, grey in our photo. The image is shown with Color 1 orange rib trim in the R Camo color way. Fiber: 100% Acrylic (Classic) This is a lighter weight vest which is perfect for those early season hunts or milder temperatures. 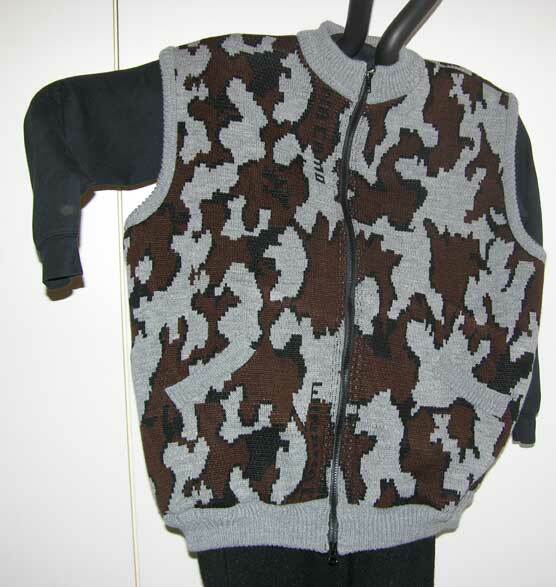 If you want something warmer for colder weather, please considar one of our lined vests. We try to complete these Custom Orders within two weeks. Christmas season (Oct-Jan) could be longer dependant upon backlog.